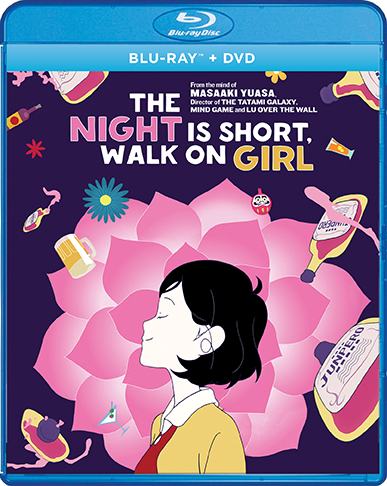 From the visionary mind of director Masaaki Yuasa (Lu Over the Wall ) comes a freewheeling comedy about one epic night in Kyoto. As a group of teens go out for a night on the town, a sophomore known only as "The Girl with Black Hair" experiences a series of surreal encounters with the local nightlife ... all the while unaware of the romantic longings of Senpai, a fellow student who has been creating increasingly fantastic and contrived reasons to run into her, in an effort to win her heart. 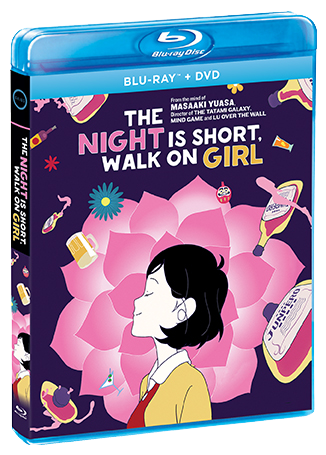 Featuring boundless imagination and visual wit, The Night is Short, Walk on Girl is a celebration of the unconventional, confusing routes that life and love can take, from one of the most exciting voices in anime today.